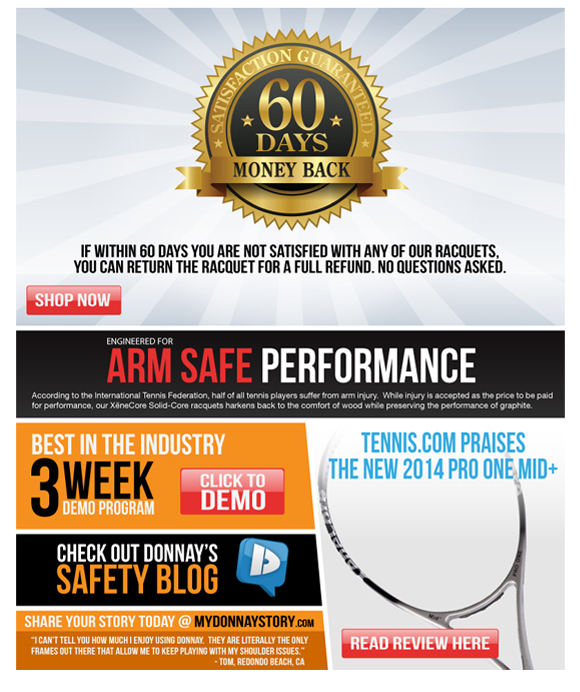 Donnay Tennis is a heritage tennis racquet brand with over 100 years of practice in their field. 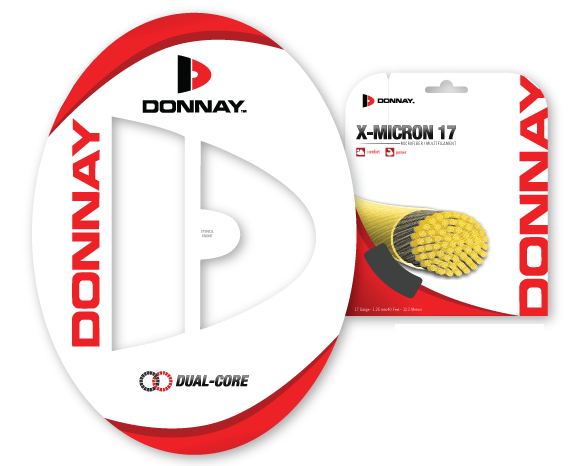 In 2010 Donnay released all new racquets that incorporated their proprietary technology that allowed their racquets to be much thinner and stronger than all of their competitors. With this new development came the need to rebrand themselves and advertise their new line. 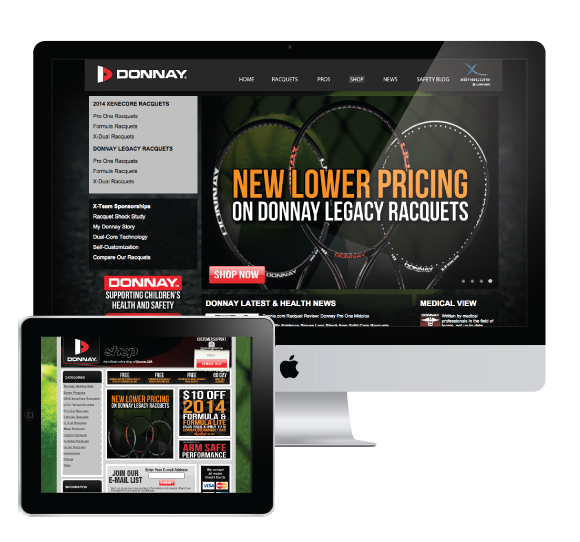 Over the course of the following years, Donnay has since released several new lines and we continue to market them both online and off, using a healthy mix of both digital and traditional methods.